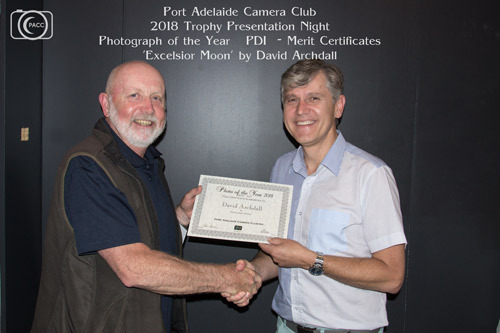 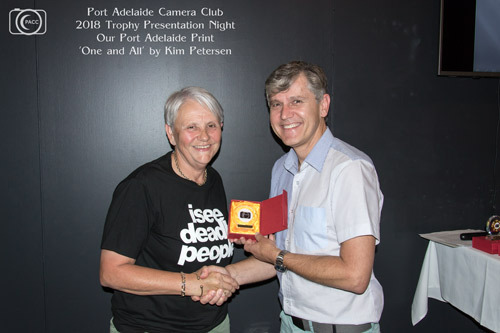 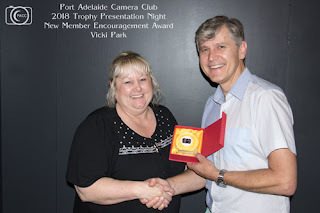 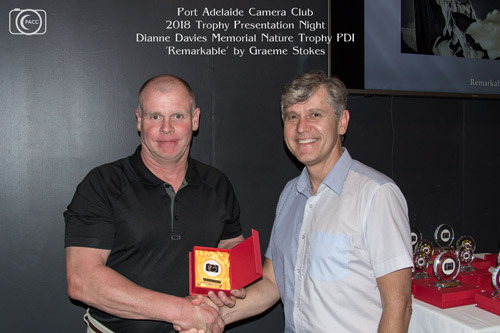 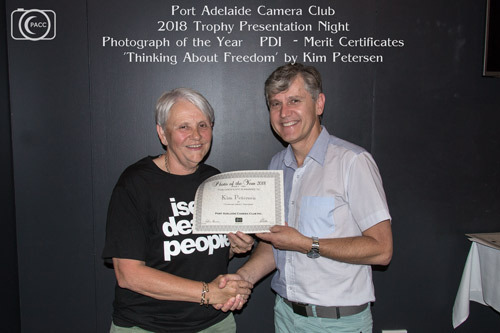 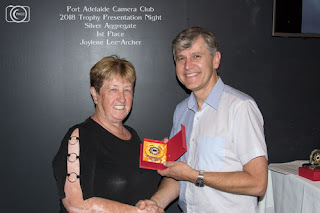 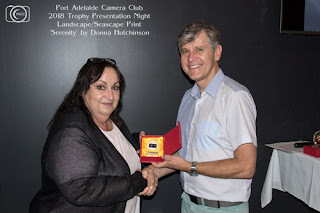 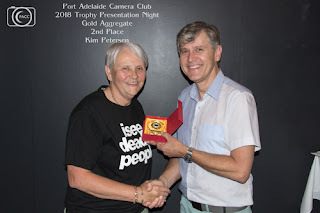 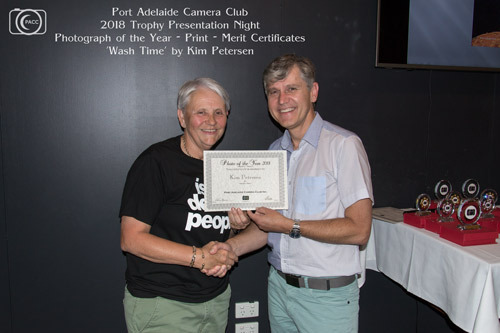 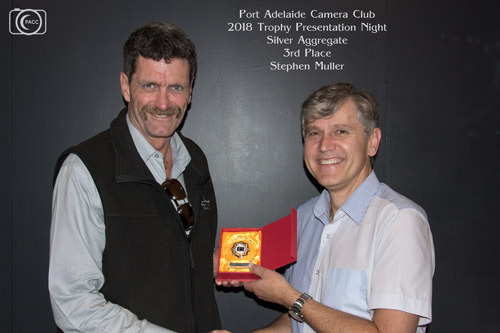 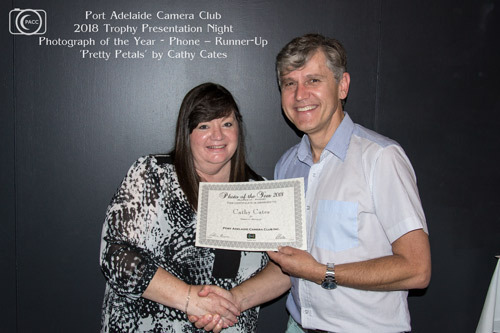 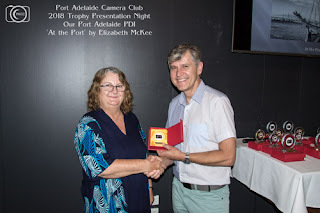 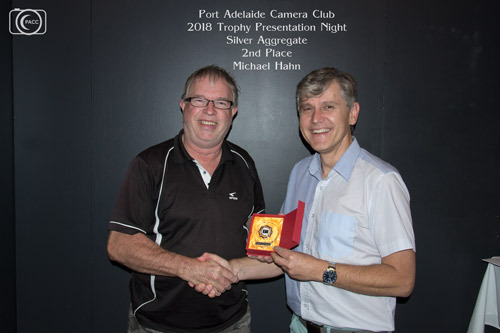 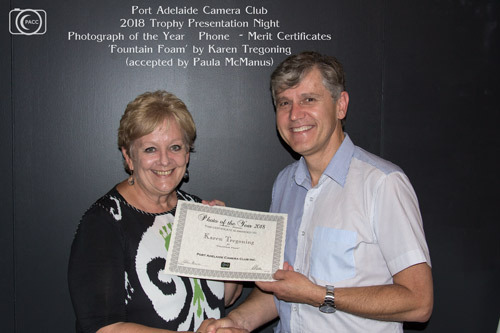 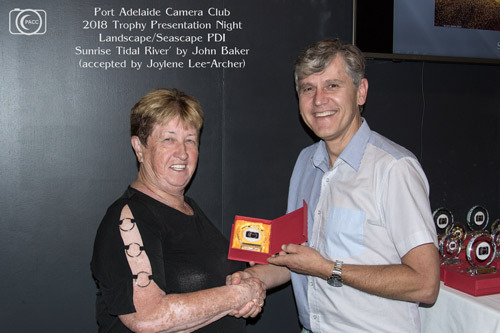 Our 2018 Trophy Presentation Night was a great night - it was so nice to be able to spend some social time with members and their partners! 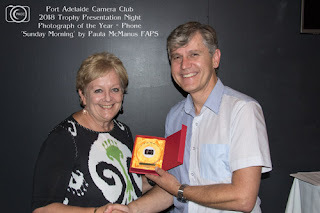 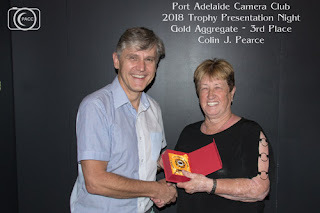 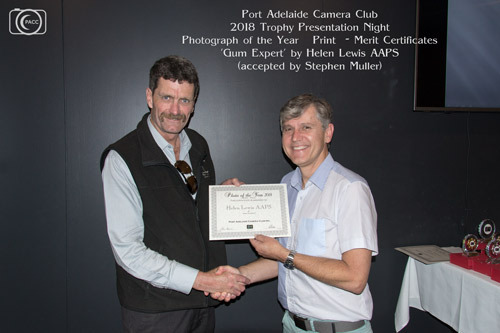 Whilst the winners of the Set Subjects trophies were known, there were some surprises in relation to the recipients for the Gold & Silver Aggregate Trophies, the New Member Encouragement Award and the President's Award. 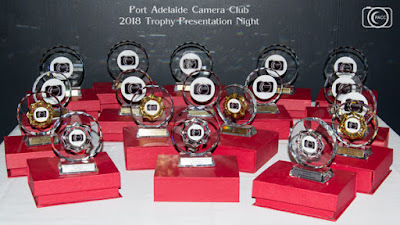 I must confess, that those are the moments I enjoy most .... revealing the winners of the Aggregate Trophies and the Club Awards. 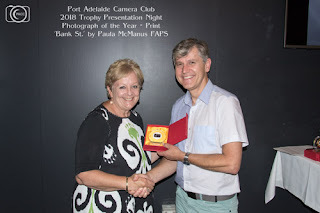 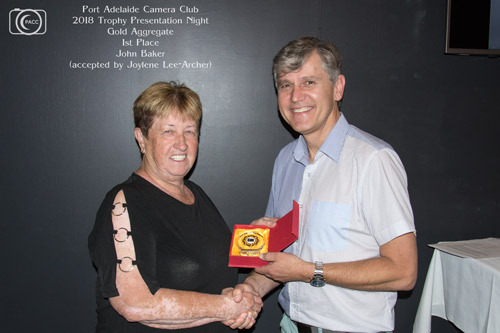 The Committee would like to thank all of the PACC members for a great year – your support of the club by participating in the monthly competitions and attending club meetings & outings is most appreciated. 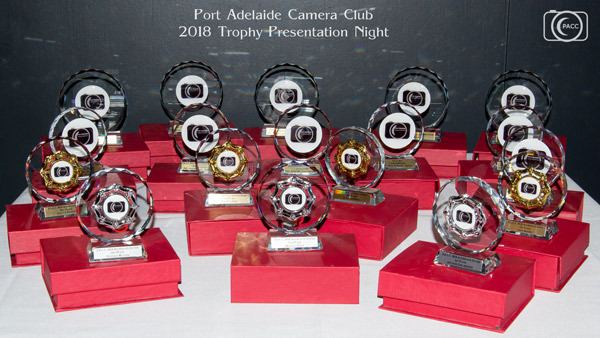 We look forward to seeing you at the club rooms on 5th February 2019. 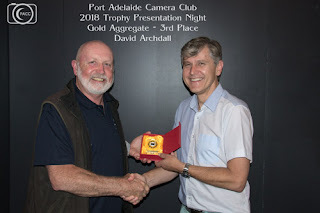 In the meantime, Club outings will still continue through December and January - members are reminded to keep a look out on In Focus for exciting bits of news and information and possibly the occasional impromptu outing or two. 2019 Membership forms are now available via InFocus in the ‘files’ section (or via the link at the end of this Newsletter). Don’t forget, we need a new membership form filled out each year, and if you wish to compete in the first competition of the year, your membership fees must be paid no later than 16th February 2019. 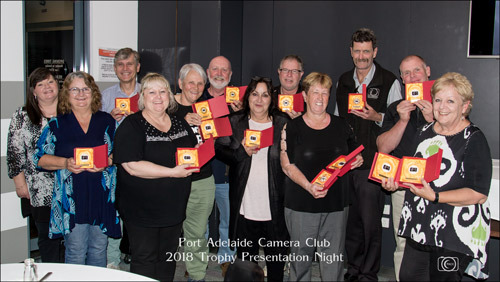 The Club Calendar, Competition Rules & Subject Definitions are currently being updated by the Committee and will be forwarded to members as soon as they are available. 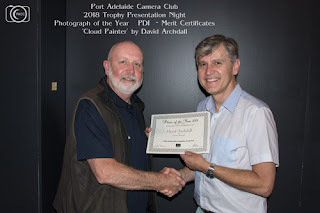 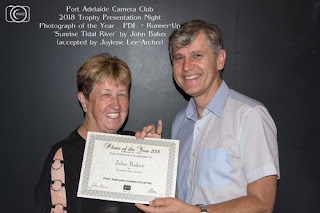 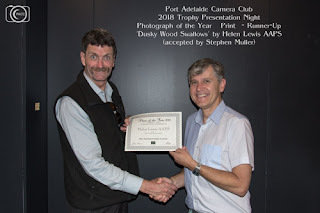 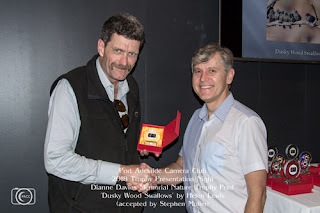 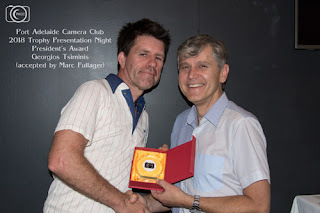 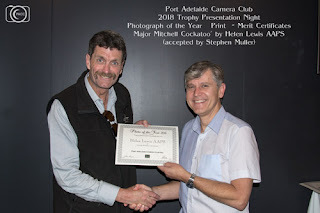 Don't forget to visit our Facebook Page Photo albums to see images from the various club outings we have had during the year, and please leave a comment on any of our members' award winning images .... 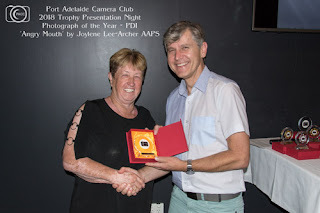 I am sure the author would love to hear from you! Looking forward to seeing what next year brings!